SteemPlus 3.7 : Earn more SteemPlus Points using SteemHunt ! steemCreated with Sketch. 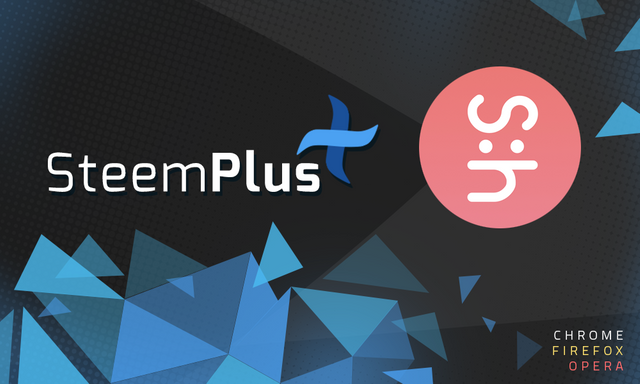 SteemPlus partners with SteemHunt to bring you a new way to earn more SteemPlus Points while enjoy the benefits of using SteemHunt. As always we devised a business model where the three parties are enjoying benefits. Let's dive into it! It s super simple, let's see how it works! For this to work, you need to be logged in in SteemHunt of course. When you re on the page of the product you want to post on SteemHunt, open the SteemPlus popup and click on SteemHunt. You will be redirected to SteemHunt on a new tab and the Product name and URL will be already filled for you. You just have to finish filling the form and submit, and voilà ! For you, users, the advantages are many : you can post on SteemHunt faster, you can earn SteemPlus Points in the process and more importantely, it does not cost you anything! The total amount of benefeciaries remain unchanged. The SPP will be added to your account at the moment of your post payout. you will get 2 SPP per SBD value of your post. This cooperation is the oportunity for SteemHunt to reach our important userbase (>3300 users despite the bear market) and bring in an easy way to interface other websites with their platform. We get 2% beneficiaries fee out of the normal SteemHunt beneficiaries (so it won t cost your a thing), that help us developing SteemPlus. Furthermore, it is our goal to interact with as many dApps as possible and reward you for using them, so we re very proud to add SteemHunt to the list. There are many other ways to earn SPP for free. Check it out here! You can find more information on steemplus.app. What are SPP used for? 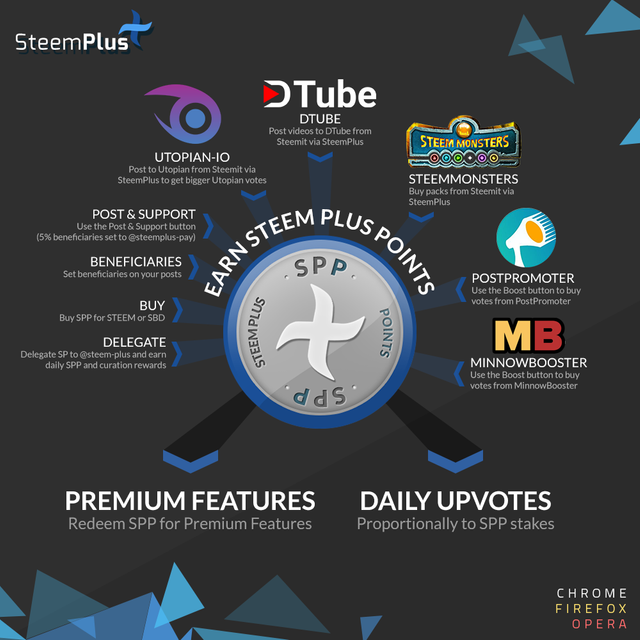 You will receive daily upvotes from @steem-plus (currently >37k SP) according to your SteemPlus Points stake. Additionally, you can redeem SPP for premium features. Check commits from Dec 19th onwards. SteemPlus is a Chrome, Opera and Firefox extension used by o ver 3400 users daily. Thank you for your contribution. I am sure this will do good to the STEEM eco system. I can see that you are committing directly to master branch this time instead of using pull requests, I don't think this is a good idea even the commits are scatter or small. I feel that some changes are quite casual. No confidences without unit tests covering those changes. Between the bear market and the severity of your scoring Im not surprised of the very little amount of developement contributions recently. For us it doesn t matter, we have other sponsors to try to survive this market and we ll always use Utopian because we believe in it, but I wouldn t be surprised if lots are driven away (it already seems to be the case). Look at the community response for this update and ask yourself if they give a damn about a duplicate commit. PS: not flagging because im upset, I just don think that should be the top comment. You got a 10.38% upvote from @minnowvotes courtesy of @cryptoewp! Thanks for your support @transcript-junky! What you are proposing is more difficult to handle technically and I m not sure I can find a WIN WIN WIN situation if we do this. You re welcome! It was a pleasure working with you! Definitely a win win opportunity. Thank you and I will explore the option. Great collaboration. Wish you could collaborate with dpoll or DMania as well. They have very less user base but deserve a very huge user base.